VERACRUZ, Mexico -- Nearly 1,000 police officers were fired to weed out corruption from the violence-ravaged Gulf coast state of Veracruz, Mexican authorities said Tuesday. Veracruz police chief Arturo Bermudez said 980 state agents have been dismissed in the past couple of weeks after failing lie detector and other tests. Only 27 percent in the 6,000-member force have taken the tests. Tuesday's announcement comes four days after Mexican President Felipe Calderon said Veracruz state had been turned over to the brutal Zetas drug cartel. The state has seen a rise in drug crimes since mid-2011. Sixty-seven people have died in two recent mass killings apparently linked to the Sinaloa cartel targeting the Zetas cartel. Calderon has deployed troops and federal police to Veracruz. 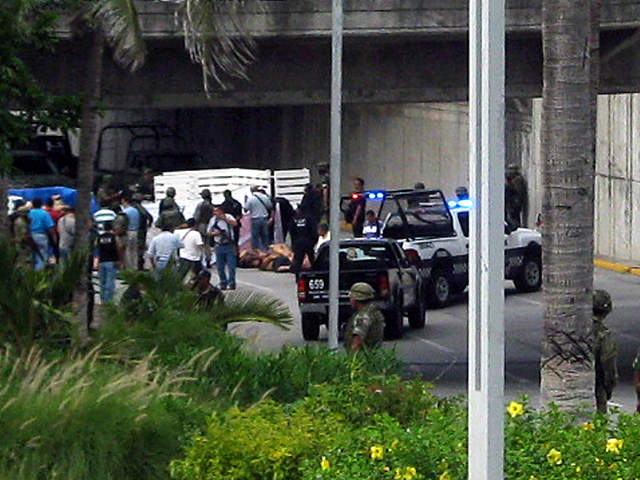 Earlier Tuesday, Mexican federal police said they detained the leader of a drug gang locked in a bloody battle for control of the Pacific resort city of Acapulco. Christian Arturo Hernandez Tarin was detained Tuesday in the central state of Mexico, the Public Safety Department said in a statement. Police said Tarin led a gang known as "the street sweeper." Hernandez's gang has been fighting against the local Independent Cartel of Acapulco for control of the coast city since the 2010 arrest of suspected Texas-born drug capo Edgar Valdez Villareal, known as "La Barbie." The department said both groups broke away from Valdez's organization because they didn't like the group's new leader, sparking a wave of violence that has terrorized people in Acapulco.